Neus Sabaté (ICREA at ICMAB-CSIC) just launched a new spin-off company to develop paper batteries: FUELIUM, that is based on technologies developed by Neus over the last few years and that promises a much cheaper, environmentally friendly power sources for all sorts of lab-on-a-chip technologies. 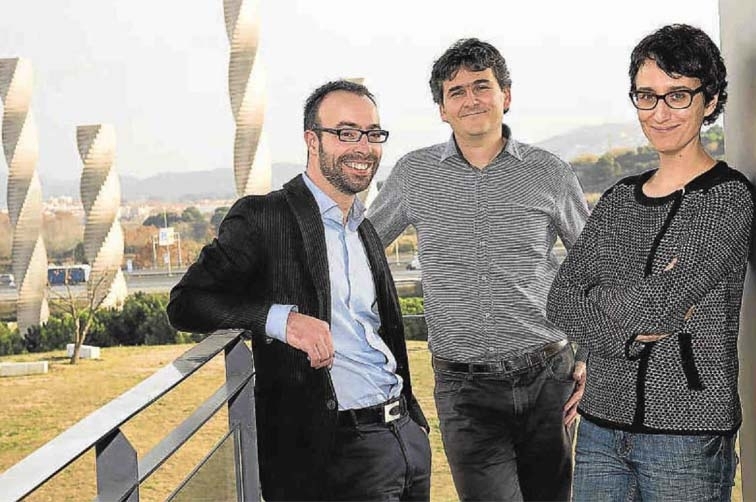 Manel Esteller (ICREA at IDIBELL) has been recognised with the National Research Award jointly by the FCRI (Fundació Catalana per la Recerca i la Innovació) and the Catalan Government. In the same ceremony, Frank Koppens (ICREA at ICFO) has been distinguished with the Young Talent Award, a category for researchers under 40. 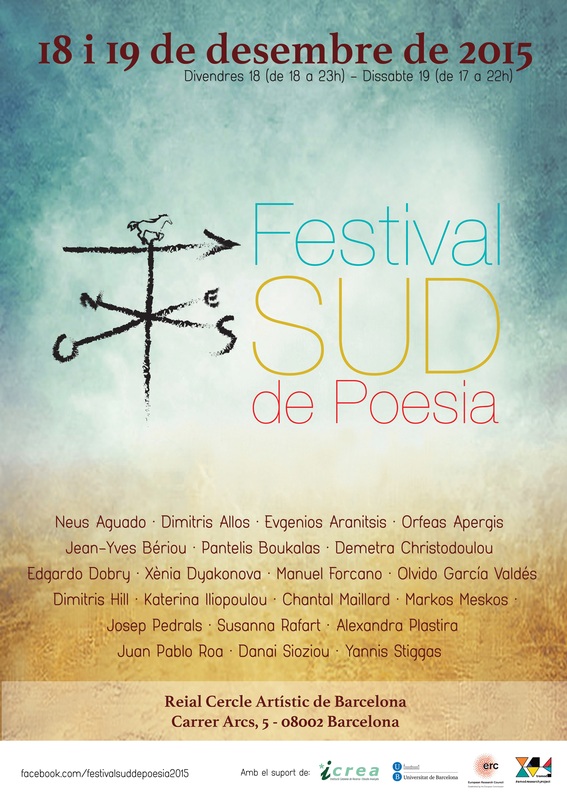 The first edition of the Festival Sud de Poesia brings together distinguished and fresh voices in a unique long flow of two afternoons-evenings. Short and long poems, angry and joyful poems, interrogative, nostalgic, aporetic, enigmatic, evocative, boisterous, emancipatory, revolted and ironic poems will be read and develop their echo and ramifications within us. All the poems evolve around the central the of this encounter : The Quest of the South (we have lost the North). The quest of the South refers to the quest of the imaginary South. It refers to a South that is the object of a pursuit, a South that is perhaps never reached, and is thus not a determined, physical or geographical place or space. It is an imaginary horizon, in the sense that it defines a limit, an end: of the world, the journey, the imagination. Looking for the South necessarily poses the question of the North. So using the expression ´hem perdut el Nord´ (which also exists in Spanish and French, and means ´we have become mad´) in our title, we want to turn its meaning around and assert it positively. We propose a refusal of the North as the point whose loss leads to loss of mind or, slightly differently, that the loss – by extension, loss of orientation, void, gap - contained in the imaginary South is a loss that is worth referring to and out of which we can make a reference. This Festival is one of the activities of Peter Wagners’ ERC Advanced grant. Pura Muñoz-Cànovas, ICREA Research Professor at the Universitat Pompeu Fabra (UPF) and head of the Cell Biology group of the Department of Experimental and Health Sciences (DCEXS), received the award for Basic Research granted each year by the Pfizer Foundation for her article http://www.nature.com/nature/journal/v506/n7488/full/nature13013.html published in Nature in February 2014. For the first time a physiological mechanism that is involved in the irreversible ageing process of muscular stem cells in very old organisms has been identified. Through experiments on mice Prof. Muñoz-Cànoves has demonstrated that geriatric satellite cells undergo intrinsic changes that are irreversible and which cause these cells to switch from a latent, quiescent state to a state in which growth and expansion are no longer possible. Experts from the Bellvitge Biomedical Research Institute (IDIBELL) and the National Cardiovascular Research Centre also participated in this research project.